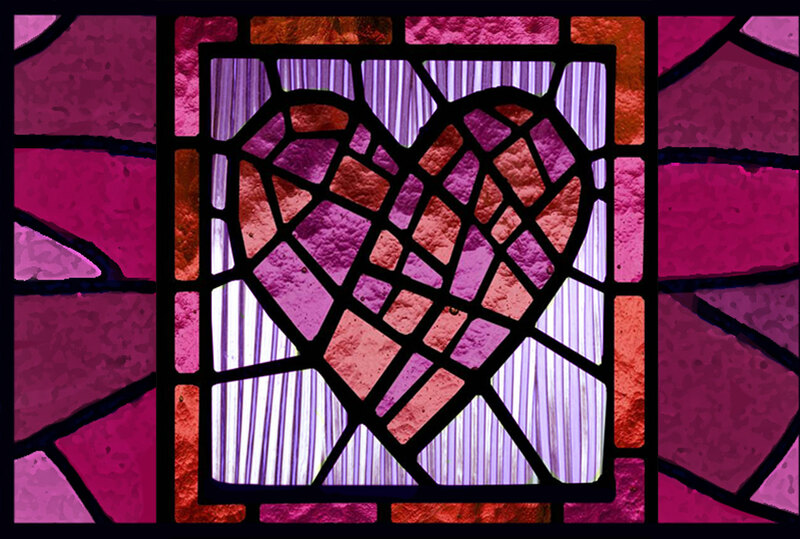 we adapted this stunning image for our customer to match her pink hearts theme. 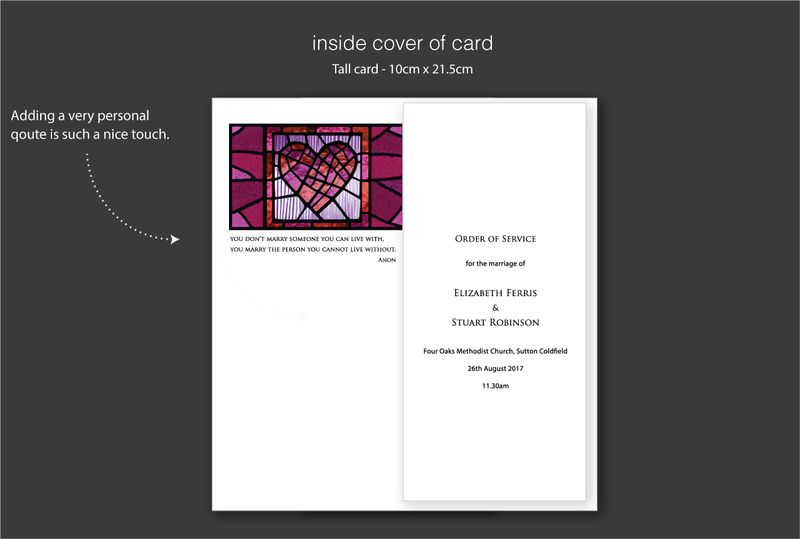 They didn’t have a suitable photo of their church, so we created this instead. 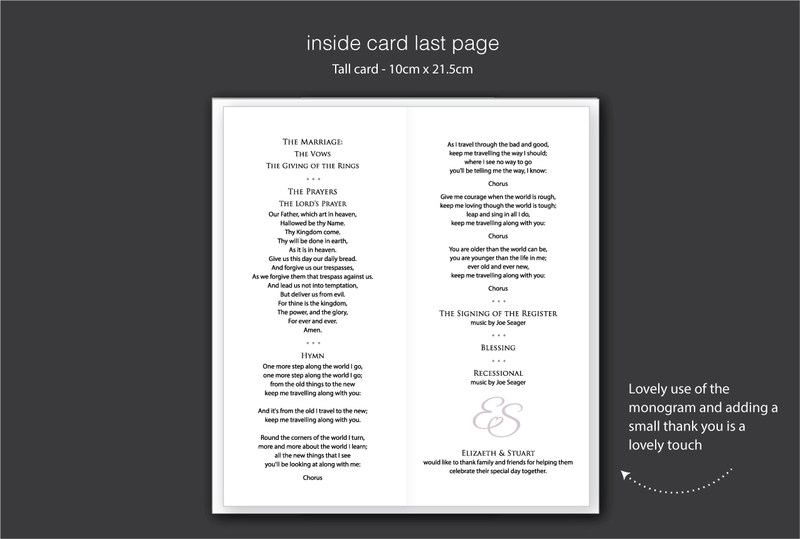 It matched perfectly with all the other stationery and we added the matching monogram. 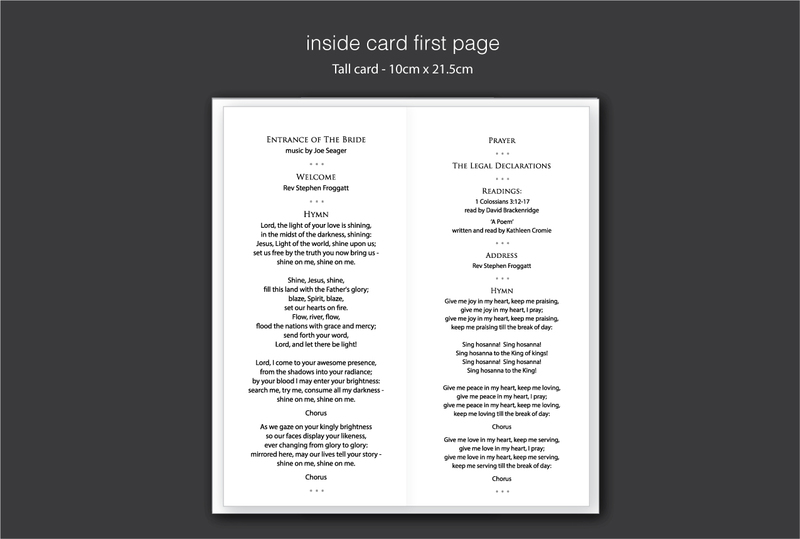 This was a fairly long service so we added an extra page making it a booklet style. 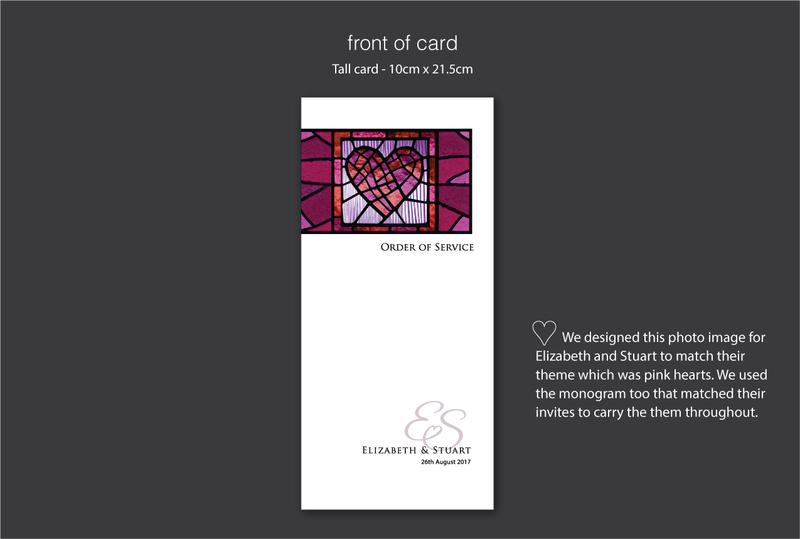 Just tell us you like the ‘stained glass order of service ‘ if you would like to use any design details from this example.